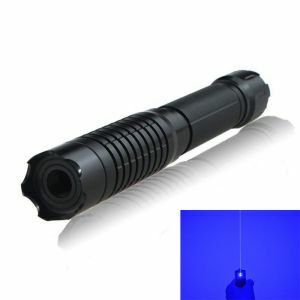 Real 5 watts (5000mW) blue laser pointer. Laser power is guaranteed. 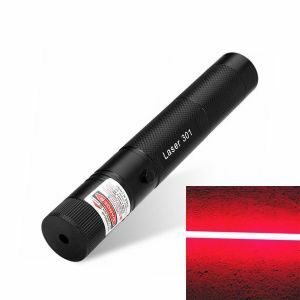 The most powerful class 4 handheld burning laser in the market. 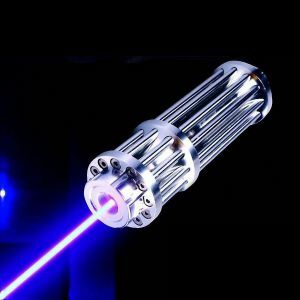 We recommend Tinker 3000mW lasers ($140) if your budget is limited. 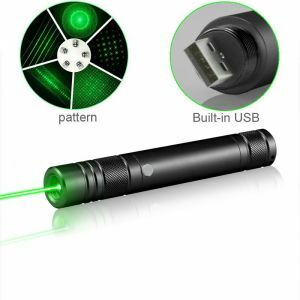 And the Lucinda 200mW entry level burning laser pointer($16) is a good option for starters. 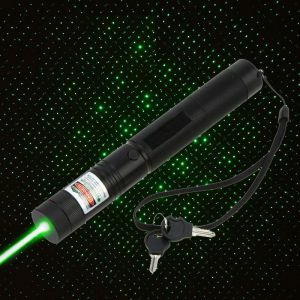 The Thanos 5 watts blue laser is the most powerful handheld burning laser in the market. 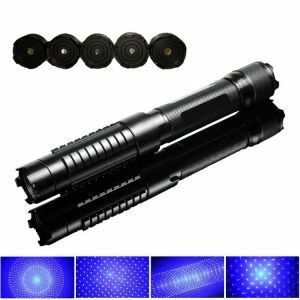 Key specifications: 5000mW, Blue 450nm, 120 seconds duty cycle, lower than 2.5 mRad divergence, 30 kilometers / 18.64 miles visible laser beam distance, interchangeable lens, adjustable focus, IP65 waterproof, powered by 2 26650 batteries(DC 7.4V @ 1A), 30+ minutes battery lifetime, able to burn many things instantly: matches, papers, leaves, plastics, wood pieces, etc. 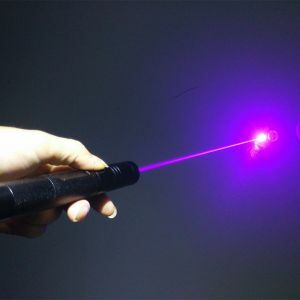 This Thanos 5W laser is the best 5 watts blue burning laser pointer in the world and the best choice for you to burn stuffs. The video shows Thanos 3W Blue Burning Laser burns live tree leaves, cuts off tiny tree branches, and ignites white papers instantly. 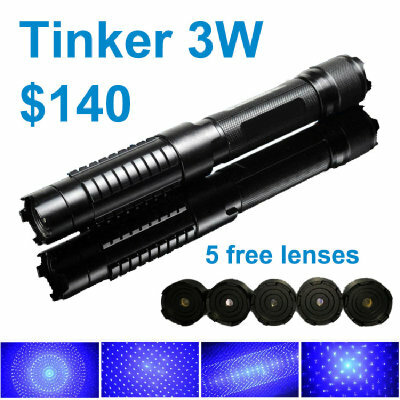 The laser in the video is the Thanos 3W version, Thanos 5W is much more powerful. 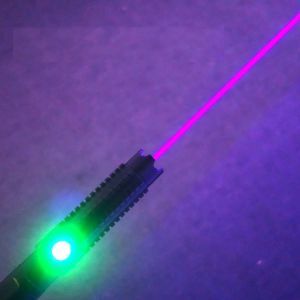 Redeem the coupon and place the order of this Thanos Laser. Wait for the Thanos blue burning laser and the free green laser pointer's arrival. The Thanos Laser ignites white paper instantly!